Podcast: Play in new window | DownloadSubscribe: iTunes | Android | RSSHow would we describe this podcast? Well, we have thru-hikers interviewing other thru-hikers, about thru-hiking, while they thru-hike… Time to meet the crew making the magic – formal introductions to our 2017 correspondent team. How would we describe this podcast? Well, we have thru-hikers interviewing other thru-hikers, about thru-hiking, while they thru-hike… Time to meet the crew making the magic – formal introductions to our 2017 correspondent team. It’s finally arrived! Thru-hiking season! We explore some of the what-ifs, hopes, and dreams of 2017 hopeful thru-hikers as we launch Season 3 of Sounds of the Trail. Special guests Amelia and Denise. It’s that moment that you realize it might be possible… with thru-hiking season getting started, a lot of us are taking a hard look at our goals right now. Those goals you’re not guaranteed – the ones you have to put yourselves out for. 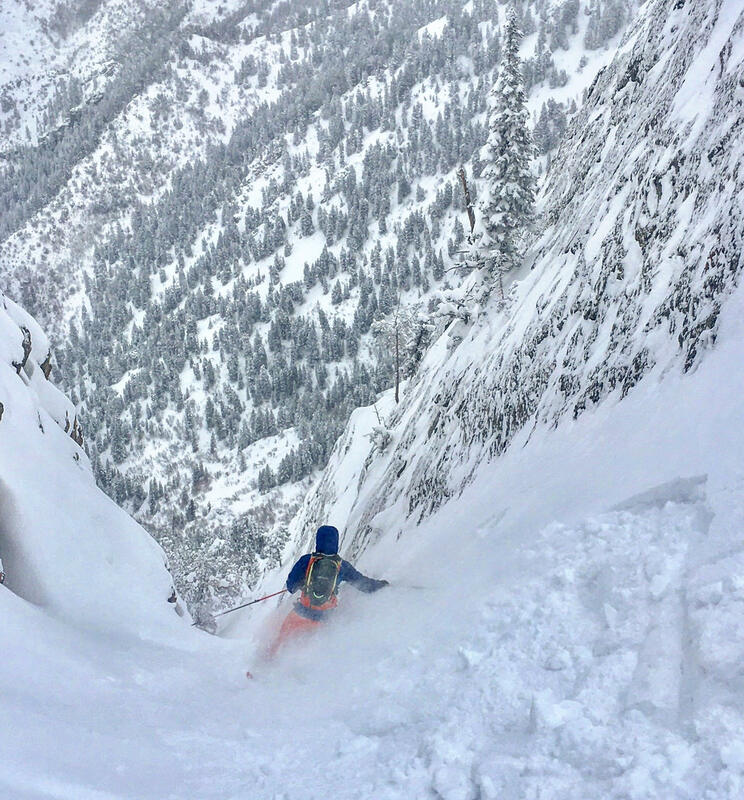 In today’s episode, we check back in with a man with a big goal – to ski 2.5 million vertical feet in 2016. 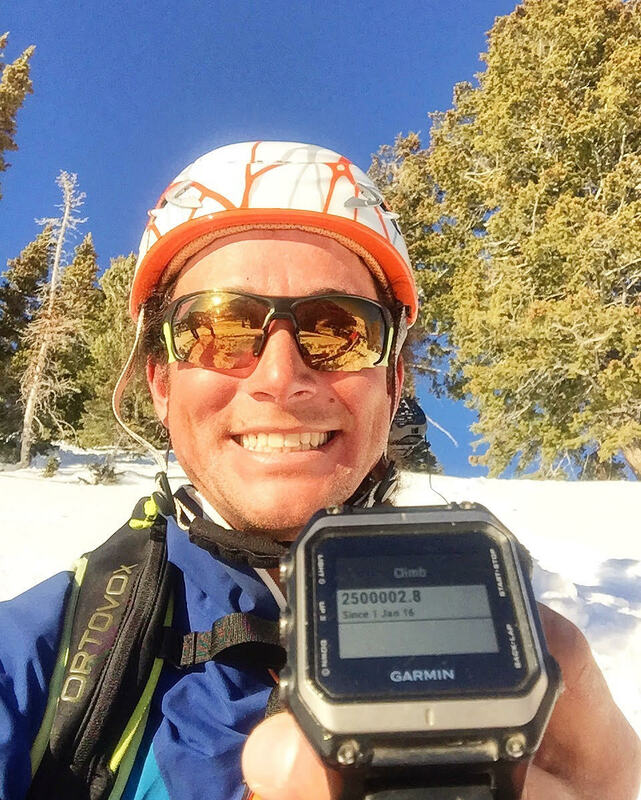 We met Aaron Rice in Episode 27, at the very beginning of his year-long effort. Take a listen to find out how it went and why he did it. Find out more about Aaron on his website. Also, we have officially put out the call for 2017 trail correspondents! If you’re interested, find out how to apply HERE. For the start of a new year, we’re leading off with a look back at the last, as we hear from trail correspondent Hey Girl and special guest Sphagnum PI. We follow along on the crazy ride from the night before the finish of the Appalachian Trail to a few months later. If you’re looking for some encouragement in taking the plunge on your own thru-hike, this might be the episode for you. What does community look like, when it’s made out of a bunch of unwashed people wandering directionally around the woods? Today we explore some facets of the trail community, and what makes it so special. Today’s episode is hosted and produced by Homework, with editing and assistant production by Gizmo. Special guests Crumb Cakes, Boo Boo, Zuul, and Oriole. Musical transitions provided courtesy of Diggin Dirt Band, from the track Wild Roots. It’s getting to be that time of year again – the end of summer thru-hiking season. Our first hikers are completing their journeys – today we get to hear from two of them, Homework and Juan Durer. Lessons learned, summits summitted, and the feeling of the end. There’s a lot of heart in this episode – take a quiet half hour and make sure you listen through to the end of the podcast, I think you’ll be glad you did. What’s so great about the outdoors anyway? It’s worth one more podcast at least, so we re-visit the topic in today’s episode. The best part of being outdoors, true love, and a community too good to leave behind – it’s just cool to be in the forest. Are thru-hikes a spirit quest? Or just a long walk? Sometimes spirituality on the trail is the goal, sometimes it just happens to us anyways. We have two great interviews today with hikers of different stripes who’ve both found things worth believing out on the trail. We’re especially pleased to have a Triple Crown hiker on the show – this is a guy who’s done his miles! Today’s podcast’s special guests are Scarecrow and Pace. It’s time for a little catching up! In this week’s podcast, we spend a bunch of time with Homework, to find out where he is on the Continental Divide Trail. In between updates we try to figure out what’s so great about the outdoors anyhow. Mt Whitney marriage proposals, injuries, and goats as wedding guests… this episode has it all! But one conversation that often gets left out of trail talk is the stickier subject of race in the thru-hiking community. Well, today we talk about that too. The subject of hikers of color has been making the rounds on the online community, so we took the chance to address it head-on, with the firm belief that nothing helps understanding more than sitting down and listening to each other. Don’t understand what the hullabaloo is about? Take a listen! Big thanks to special guest Double Sprainbow. If you’re interested in hiking and you’re a person of color, go ahead and check out the Hikers of Color Facebook Page.